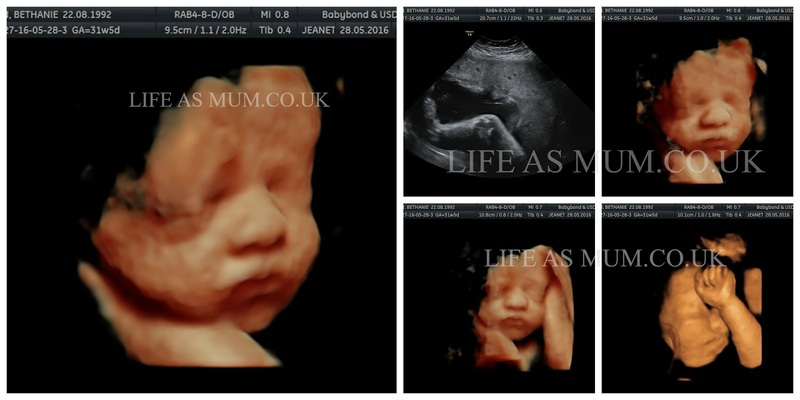 If you follow my pregnancy journey you may have seen we had an early 3D gender scan at Hellobaby. I knew I wanted to book one more scan but I wanted to go somewhere different and possibly closer with a reasonable price. I looked online for days and hours and eventually I came across Babybond. I had a quick look on the site and it was pretty easy to book an appointment. I booked the 30 minute 4D Bonding Scan which ideally you should book between 24 and 32 weeks. I was just a few days before 32 weeks when I had the scan done. There were options to choose from and the price for that particular kind of scan started from £119.00. We chose option 3 which cost us £119.00 which I didn't mind because of what was in the package. - Sexing of your baby - If wanted. It was quite easy to find but we did have to park quite a bit down from the place as the parking wasn't all that great around the area. When we eventually found somewhere to park we walked to the place and when we arrived we were greeted by a polite man who I guess what the receptionist. The waiting room was extremely clean with comfortable leather sofas. We didn't have to wait that long for our appointment and when we arrived into the big scan room we were greeted by a lovely woman who introduced herself and explained what would happen during the scan. Our scan was amazing. I was really shocked seeing such a clear image on the screen. The first thing I said was he has the same nose as his Dad and his sister Elliw. It was amazing how clear his features were. Although our appointment was supposed to be 30 minutes, I am sure we didn't get that full 30 minutes which I was a little disappointed about because of the amount we spent and the travelling down too. She explained a few things during the scan which was good. She captured some amazing images and gave us some extra photos because she was running late. I would really recommend booking a scan with Babybond. This is so cool. I will be doing this scan if and when next I get pregnant. Oh my gosh this is so weird, in a good way, I've never seen an actual 4d scan before! Looks amazing! That detail is amazing. Very cute too! I think getting the 4D scan was a great decision. Such a fantastic thing to do - such amazing detail too! Technology these days, eh?! We are booked in for one of these in a few weeks and I can't wait. I hope we get to see lots of detail. 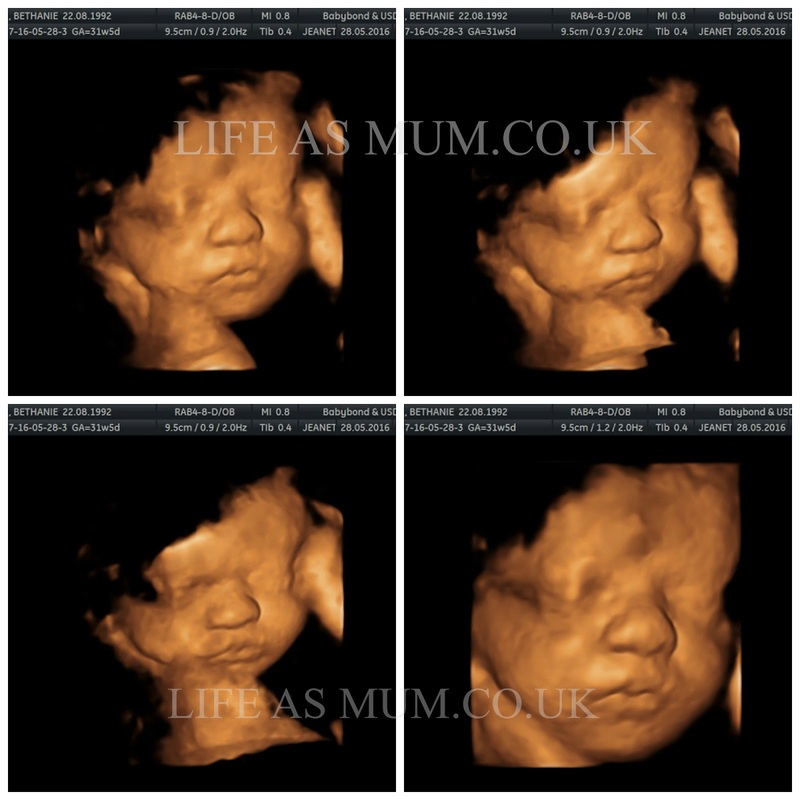 4D scans are incredible and when I have a child I want a 4D rather than a 3D scan! I think these 4d scans are so awesome, you can see so much more than the usual scans you get. So precious! You definitely won't regret the £100 or so when you look back on it. those scans are amazing and so detailed! I'm in awe right now! OMG how cute, the scans are great and it's nice to see the little one before it arrives. Wow how clear? Those little facial features are just so precious! wow, how amazing is that. I love how clear it is, shame you didn't get the full 30min. Congrats though. The facial features are so clear. This is so cool. What a clear image!! A wonderful way to start the bonding process! We had 4d scanning 10 years ago and it still blows my mind away to this day! Awwww this is an amazing experience I went with my sister to her 4D scanning and it was truly and amazing experience I got to see my nephew and it was amazing. I not a mom yet so this was really and amazing opportunity and it was also a bit emotional. These 4D scans look so amazing, it really highlights how real the baby is growing inside you if you know what I mean - some scans you can't make things out as much. These pictures look amazing. Wow they are really amazing photos of the baby's face! I've never had a 4d scan but this looks like you got some great shots! Those 4D scans are almost magic aren't they? Just amazing. What an amazing opportunity. The detail in the images is incredible!